We’d love your help. Let us know what’s wrong with this preview of Uno, nessuno e centomila by Luigi Pirandello. To ask other readers questions about Uno, nessuno e centomila, please sign up. This is the worst description I have ever seen of a book. Good to know the writer struggled, but what is this book about?????? - One, no one, and one hundred thousand. - Well you're one, right? - And for me you are my son, to Anna you're her biggest brother, to grandmother you are her grandson, for the teacher you are "Peter, that boy who disturbs the class", to Victor you are his friend, for each person you're someone-else. - But for you? Who are you to you? None of those, right? Each sees you in his own way which is different from how you see yourself. And so you are one, you are a hundred thousand of you to a hundred thousand people and none of those hundred of thousands of you is not you, the one you know you are. Luigi Pirandello (1867 - 1936) – Nobel Prize winning Italian playwright, novelist, poet and short story writer, perhaps best known for such outstanding plays as Six Characters in Search of an Author. “One, No One, and One Hundred Thousand” is so well-constructed, each section flowing smoothly into the next, it’s as if the author penned all one-hundred-sixty pages in a single, uninterrupted creative burst. Remarkably, it’s just the opposite: Luigi Pirandello worked on this short novel on and off over the course of fifteen years, beginning at age forty-two and ending at age fifty-seven. And it isn’t as if Pirandello ordinarily worked at a methodically slow pace. Hardly. His output is phenomenal – during those same fifteen years, at the peak of his creative powers, he wrote hundreds of short stories as well as dozens of plays. The fifteen years to complete this novel speaks to how much care, attention and reflection Pirandello gave the subject, his lifelong preoccupation: the nature of identity. Ah, the nature of identity. Do you reflect on the fact that you experience you from the inside and other people experience you from the outside? That’s right, the outside, as in how you look, how you speak and how you act. Or, stated slightly another way, your looks, speech and action independent of your inner thoughts and feelings. There’s just one and only one person blocked from experiencing you from the outside - you yourself. Sad but true: you can’t stand apart and be an outsider to yourself. Does this bother you? Probably not or not all that much. Well, it certainly bothers the novel’s narrator, Vitangelo Moscarda, bothering and weighing on him to the point of obsession. Humor is laced throughout, right from the first page when at age twenty-eight Moscarda is informed by his dear wife that his nose tilts slightly to the right, quite the revelation since he has always been under the distinct impression he had, if not a handsome nose, then most certainly a decent nose. Reacting as if he were a dog and his wife just stepped on his tail, Moscarda spins around: “My nose tilts? !” Moscarda runs to the bathroom, slams the door and for the next hour scrutinize his face in the mirror. True, we can’t stand outside ourselves but through the power of fiction, in one telling scene, Luigi Pirandello splits Moscarda right down the middle: a Moscarda sitting alone in his study and a Moscarda standing in the corner as objective outsider questioning, probing and pointing a sometimes ironic, sometimes accusing finger. We watch as both Moscardas take center stage in a short novelistic variation of his famous play, acting out their own “Two Characters in Search of an Identity,” as in, when we read: “Why do you go on believing the only reality is your reality, today’s, and you are amazed, and irritated, and you shout that your friend is mistaken, when, try as he may, poor thing, he will never be able to have, inside himself, poor thing, your same mood.” The fact that we humans construct our own identity as a builder builds a house, a construction that cannot be fully communicated to others, even one’s spouse or closest friends, begins to drive Moscarda berserk. And the obverse, how other people construct their own version of his identity for themselves is an unavoidable truth Moscarda refuses to accept, particularly the way his wife Dida has constructed his identity as Genge, her little Genge, a little, loveable fool. Ahhh . . . unacceptable! On top of this, how the two men running the bank his father founded, Quantorzo, the manager, and Firbo, the councilor, likewise think him a harmless fool. And the people in his small city? Since Moscarda benefits so directly and handsomely from the business of the bank, they think him a usurer. A usurer! Now he really has reason to be driven berserk. 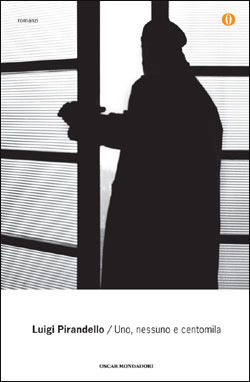 Throughout the first half of the book, Moscarda keeps his deep and unending inquiries into the nature of his own identity to himself, which is perfectly fine since, in truth, people don’t give a fig about his self-examination but simply want him to continue adhering to accepted social conventions, including acting with civility when dealing with business people in a business office. But there’s the rub: it’s this very conventional civility that has created all the unacceptable social identities of him formed by other people. Thus, Moscarda aims to put into practice his first experiment “in the destruction of Moscarda,” that is, he yearns to destroy the identity all those other people have of him as both fool and usurer. What follows when he pays a visit first to the office of the notary Stampa and then to his bank to confront Quantorzo and Firbo are two of the most hilarious scenes I’ve ever encountered in literature. Rather than saying anything more specific (you will have to read for yourself) just think of another example: a modern day business office with several dozen men and women reading files, answering phone calls, writing reports. Its midafternoon and one of their longtime coworkers revolts against his dull, uptight, establishmentarian identity – he makes his grand entrée wearing a full-length yellow leotard with bells on his ankles, proceeds to execute backward and frontward flips before dancing around the office tossing daffodils. Well, of course, you can think of acting in such a bizarre fashion and get away with it as long as you keep it to yourself and your imagination. However, if you actually perform such a stunt publicly just once - as we all know, one time is all it takes - you will immediately be labeled as mad, fired and perhaps even arrested. What is the nature of the self? Does your own construction of identity put you in a box? Do you recognize your authentic self in the roles you take on? Likewise, does the identity others form of you restrict your freedom? And how about society as a whole? Is the social construction of identity corrosive and even an invasion of privacy? Is to live a “normal” life in our modern world in any way dehumanizing? I am reminded of the novel “Nausea” by Jean-Paul Sartre as well as other existential fiction by such authors as Samuel Beckett, Franz Kafka, Bertolt Brecht and André Malraux. But with Luigi Pirandello’s novel, the story, existential to its core, is frequently laugh-out-loud funny, reminding me of “Twelfth Night” and that yellow stockinged prancing Malvolio. Thank you, Luigi. Highly, highly recommended. "Say, is there writing on this page?" "Yes, sir! ", the entire class chimes in. "But how is that! The page is empty!" The class is baffled. The students murmur, some adamantly believe that the teacher will change his mind and berate anyone who goes back on their word, so they voice their previous opinion louder. Others confusedly hold their opinions in check, in case the teacher proves them wrong. The teacher smiles, and then in one single movement shows us the other side of the paper, the one that was not facing us, but the one that was, until then, facing him. The page was empty. The teacher was right. Why is perspective so elusive? In a world of differing perspectives, which are the absolute truths? Or is there anything known as absolute truth? Perspectivism falls among those philosophical views that give rise to more questions than answers, especially considering we never truly have a particular method of inquiry or a structural theory of knowledge. The view was first coined by Friedrich Nietzche. "In so far as the word "knowledge" has any meaning, the world is knowable; but it is interpretable otherwise, it has no meaning behind it, but countless meanings.—"Perspectivism." It is our needs that interpret the world; our drives and their For and Against. Every drive is a kind of lust to rule; each one has its perspective that it would like to compel all the other drives to accept as a norm." In essence, we never have a perfect perspective as we choose to interpret the world as we would best want to make peace with it. A husband who despises low-fat milk would still drive around way out of his regular trip back home to get his wife her desired beverage, only so that he gets to be in the right. And so, that becomes his norm, and the wife lives oblivious to the fact that he despises low-fat milk. Let me come back to this a bit later. The above meme is a perfect example of looking-glass self. The social psychological concept of the looking-glass self describes the development of one's self and of one's identity through one's interpersonal interactions within the context of society. Charles Horton Cooley clarified that society is an interweaving and inter-working of mental selves. The looking-glass self comprises three main components. - We imagine how we must appear to others. - We imagine and react to what we feel their judgment of that appearance must be. - We develop our self through the judgments of others. Hmmm..... Fair enough! But where's the review? One, None and a Hundred Thousand is a 1926 novel by the Italian writer Luigi Pirandello. The novel had a rather long and difficult period of gestation. Pirandello began writing it in 1909. In an autobiographical letter, published in 1924, the author refers to this work as the "...bitterest of all, profoundly humoristic, about the decomposition of life: Moscarda one, no one and one hundred thousand." The pages of the unfinished novel remained on Pirandello's desk for years and he would occasionally take out extracts and insert them into other works only to return, later, to the novel in a sort of uninterrupted compositive circle. Finally finished, Uno, Nessuno e Centomila came out in episodes between December 1925 and June 1926 in the magazine Fiera Letteraria. One, the belief that our self is one and the only self that we know ourselves to be. A Hundred Thousand, meaning that we live a hundred thousand lives in the hundred thousand perspectives we come to face in the minds of the people in our lives, in turn giving rise to hundred thousand unique selves. None, signifying that none of these are really a true self and that nothing holds true to test in the end. Vitangelo Moscarda's world falls into complete disarray when, one day, by an innocent question, he's confronted with the reality that he isn't exactly of the same image he thought he had. Meaning, he looked different from his own mind-view of himself. And hence, Moscarda was to move into this never-ending soul-searching journey where he tries to find "the true self", the one who he believes is his original persona. Moscarda chooses to expose his true self by behaving contrary to his usual self in everyday aspects of his life, breaking down the fake images of Moscarda built to please the people in his life, exposing his true, darker desires. This, leads him to a journey towards madness and rediscovery. I really enjoyed this book as I've always had a profound interest in the underlying themes in the story. I'd definitely recommend it if you're into existentialist literature and enjoy absurdist fiction. "Διότι πρέπει να σταματήσετε στιγμιαία μέσα σας τη ζωή, για να δείτε τον εαυτό σας. Όπως μπροστά από μια φωτογραφική μηχανή. Εσείς προσποιείστε. Και με το να προσποιείστε είναι σαν να γίνεστε άγαλμα για μια στιγμή. Η ζωή κινείται συνεχώς και δεν μπορείτε ποτέ να δείτε πραγματικά τον ίδιο σας τον εαυτό." Πιραντέλλο: ο Ιταλός Ντοστογιέφσκι !!! This is one of those books that blows you away. Why? Well, Mr. Pirandello's novel is one of those that will make you doubt about who you are for years. This is the book I would pick up if I were asked to choose the one novel which has taught me the most about life. This novel is not an easy read. However, whenever you find yourself not understanding, there will be something further ahead telling you that you are on the right track. Only by deconstructing yourself, you will be able to open your m This is one of those books that blows you away. Why? Well, Mr. Pirandello's novel is one of those that will make you doubt about who you are for years. This is the book I would pick up if I were asked to choose the one novel which has taught me the most about life. This novel is not an easy read. However, whenever you find yourself not understanding, there will be something further ahead telling you that you are on the right track. Only by deconstructing yourself, you will be able to open your mind and learn about yourself. Keep this in mind; otherwise, frustration won't let you enjoy and appreciate this novel. Am I who I really think I am? Nope, that is just one of the “one hundred thousand” sides that make up the whole of you. These sides are the many versions of yourself, which can only be seen by the people around you. You can only see your “own” version of yourself, but is this your true self? “No one” really knows, not even you. كتابي ال (100) لعام 2018.
" لم أعرف نفسي على الإطلاق، لم يكن لدي أي تصور خاص عن حقيقة نفسي، كنت في حالة من الوهم المتواصل، أكاد أكون مُنساباً، مرناً، الآخرون عرفوني، كلٌ على طريقته، وفقاً للحقيقة التي أسبغوها علي.. "
بيراندللو عبقري للغاية لم أتوقع أن أقرأ له شيئاً كهذا، خاصة كأدباء إيطاليا الذين يتسمون بالبساطة والسحر وأسلوب السهل الممتنع والبعد عن التفلسف بشكل عام..
ما كتبه بيراندللو هنا مدهش وغير قابل للإستوعاب حتى، غامض، مُربك، بالكاد تمكنتُ من لملمة بعض أفكار هذا الإيطالي المجنون وكأنني أجمع حطباً من غابة لانهائية، بي " لم أعرف نفسي على الإطلاق، لم يكن لدي أي تصور خاص عن حقيقة نفسي، كنت في حالة من الوهم المتواصل، أكاد أكون مُنساباً، مرناً، الآخرون عرفوني، كلٌ على طريقته، وفقاً للحقيقة التي أسبغوها علي.. "
ما كتبه بيراندللو هنا مدهش وغير قابل للإستوعاب حتى، غامض، مُربك، بالكاد تمكنتُ من لملمة بعض أفكار هذا الإيطالي المجنون وكأنني أجمع حطباً من غابة لانهائية، بيراندللو يدخلك في حالة من الشك مع نفسك، يكسر يقينك الحاد بالتعرف على ذاتك في ذوات كثيرة مخبئة في داخلك، ضبابك، مخيلتك ، كما يراها الآخرون، كما ترى نفسك أنت في عيون الغير، يا إلهي كم يبدو الامر جنونياً حين يتحدث بيراندللو عن ذلك ، حالتك المعلقة الغير الثابتة في زمان ومكان معين، كيانك الهش الذي تفتخر به، ذلك الشيء أو الكائن المجزء في أشكال كثيرة، عدد هائل من الشخصيات داخلك، مائة ألف ربما أو يزيدون ..
وقد تكون لا أحد، من يعلم..
الوجوه مرايا والذوات عبارة عن تكرار لا نهائي عن شيء واحد هو أنت، هذا الأنت الذي يتكرر كل يوم، كل موعد، في طرفة عين ربما، لا تعود ابداً كما كنت عليه ، تلك مساحة الفراغ الهائلة التي تفصلك عن كل حالة من حالاتك، عن وجودك الأصلي ، الإنشقاق الوجودي الحاد الذي يحصل، أنت متأقلم فحسب ولكنك في حالة تغير مستمر، تحمل شخصياتك ، جنونك معك، تخبيء بعضها، تُظهر الأخرى، ترتاب في بعضها، ولا تحس أنك تنتمي لبعضها الآخر ، تغار من شخصيتك المُثلى، تخيل!! تجد أن عالمك مُكون من تلك الشخصيات المخبأة التي طالما حرصت كل الحرص على أن لا يتمكن الآخرون من رؤيتها فيك..
نحن شخصيات بمقدار وبعدد الناس الذين يروننا، كل منهم يرسم لنا شخصية معينة، ليست الشخصية هي نحن، فهي تختلف عن الشخص الذي رسمه الآخر لنا، بيراندللو يطرح سؤالاً ، كيف لكل تلك الشخصيات الكثيرة والمتناقضة أحياناً أن تصنع إنساناً واحداً، إنساناً واحداً فقط، إنسان يختلف حتى بنظر نفسه، يجمع كل تلك التناقضات ، الأشكال، المرايا الأخرى، يا إلهي يبدو وكأنه عالمٌ موازي ذلك الذي يتحدث به بيراندللو في الرواية ، عالم مشتت، مخيف، صادم، غير قابل للتعامل معه، وغير قابل للمجابهة ..
عاش "موسكاردا" حياته من دون مشاكل حتى بلغ الثامنة والعشرين من عمره، دون أن لا يلاحظ أي شيء على نفسه، حتى نبهته زوجته في يوم من الأيام أن أنفه مائل قليلاً نحو اليمين، كانت تلك الفكرة التي لم يتقبلها، لم يستوعبها حتى، كيف أنه عاش كل تلك السنوات وهو يظن أن لا عيب بوجهه ولم يلاحظ ذلك النقص، صُدم حينها، كيف أن الآخرين يرونه على نحوٍ مختلف مما يرى ذاته، وكيف أن زوجته وأقرب الناس إليه كانت لديها نظرة مغايرة تماماً عن نفسه، ليس على مستوى الشكل فحسب، بل حتى عالمه الداخلي الذي أدرك أن لا أحد يعلم ما يجري بداخله ، بل هو نفسه لم يدرك حقيقة نفسه كامل الإدراك، هذا الزلزال الوجودي الذي نبدأ رحلة الشك منه في الرواية والتأملات والأسئلة التي لا تنتهي سوى بإسئلة أكثر دهشةً ..
رواية فلسفية عميقة للغاية، لم أتمكن من فهم كل مادار بخلد بيراندللو وهو يكتب الرواية ، ولكن ما فهمته فقط جعلني أشعر بدوار وأنا أتخيل الفلسفة والتفكير الغامض الذي يتحدث به عن النفس، الإنسان، الشخصية، الكائن، هذا الكائن البشري اللغز ..
1. "De ce, când cineva doreşte să se sinucidă, se imaginează mort nu pentru sine, ci pentru ceilalţi?" 2. "A te cunoaşte înseamnă a muri. Dumneavoastră staţi şi va uitaţi atâta în oglindă, în toate oglinzile, deoarece nu trăiţi; nu ştiţi, nu puteţi sau nu vreţi să trăiţi. Vreţi să va cunoaşteţi prea mult, şi nu trăiţi." 3. "Oamenii, vezi, simt nevoia să facă o casă a sentimentelor lor. Nu le ajunge că au înăuntru, în inimă, sentimentele; vor să le vadă şi în afară, să le atingă. Şi atunci le construiesc o casă" - remarcă referitoare la nevoia omului de divinitate şi la fastul Bisericii (în context). Pirandello inizia a lavorare a Uno nessuno centomila nel 1909. La prima puntata dell’opera uscirà nel 1925 sulla “Fiera letteraria”. Il dramma di Vitangelo Moscarda comincia quando la moglie fa una considerazione sulla piccola imperfezione del suo naso. Davanti all’immagine riflessa personalità e realtà si frantumano: Vitangelo Moscarda non è, per gli altri, quello che egli si crede. Avvia così un fitto monologo che mette in luce la molteplicità dell’essere. Ma per Vitangelo, chi è Vitangelo Moscarda? Sinora aveva creduto d’essere uno. Si ribella, Vitangelo. Inizia a compiere azioni che scombinano e rovesciano ogni certezza sul suo apparire. Cerca disperatamente di dimostrare di non essere quello che gli altri credono. Perché avevo voluto dimostrare, che potevo, anche per gli altri, non essere quello che mi si credeva. Credeva d’essere uno, scoprì d’essere centomila, decise d’essere nessuno. Scivolò nella follia (follia?) per trovare riparo, salvezza e liberazione, per morire e rinascere ogni giorno, nuovo e completo. P.S. Camminando ho guardato improvvisamente una vetrina per catturare l’io che non conosco. Pirandello, Pirandello! "Credete pure che, se qualche dispiacere ha potuto recarvi l'esperienza or ora fatta, quest'è niente, mio caro, perché voi non siete due soltanto, ma chi sa quanti, senza saperlo, e credendovi sempre uno". Questo è il succo, in realtà. Questo e molto di più. Ho adorato la prima metà del libro, una bella chiacchierata con qualcuno che ha fatto una scoperta esilarante (per me), una chiacchierata fra amici sulla percezione di noi stessi e degli altri. Una chiacchierata che finisce con me che non posso "Credete pure che, se qualche dispiacere ha potuto recarvi l'esperienza or ora fatta, quest'è niente, mio caro, perché voi non siete due soltanto, ma chi sa quanti, senza saperlo, e credendovi sempre uno". Una chiacchierata che finisce con me che non posso fare a meno di sentirmi vuota (e sola): questo ha cambiato molte cose se non tutto, tutte le relazioni sociali, dalla fine di questo libro, sono diverse e hanno un sapore più amaro ma consapevole. "Ma dove la ferita? In me? Kitabın konusu, her ne kadar çok basit fiziksel kusurların insanın kendi bilincinde yol açtığı sorunları bireyden hareketle birden farklı bakış açısıyla baksa da, kitabın anlatımını bayık buldum. Sanırım bunun altında monolog anlatımları ve teatral anlatımları Zamanında çok okumamın etkisi vardı. Beklenti olarak farklı bir mizah ve absürd anlatım beklentisiyle okumaya başlamam beğenmemem de çok etkili oldu. Bunun yanında, kitabın gittikçe kişisel gelişim ve Osho tarzı sevgi içimizde tarzında bir Kitabın konusu, her ne kadar çok basit fiziksel kusurların insanın kendi bilincinde yol açtığı sorunları bireyden hareketle birden farklı bakış açısıyla baksa da, kitabın anlatımını bayık buldum. Sanırım bunun altında monolog anlatımları ve teatral anlatımları Zamanında çok okumamın etkisi vardı. Beklenti olarak farklı bir mizah ve absürd anlatım beklentisiyle okumaya başlamam beğenmemem de çok etkili oldu. Bunun yanında, kitabın gittikçe kişisel gelişim ve Osho tarzı sevgi içimizde tarzında bir türe kayınca ilgim kitaba karşı tamamen kayboldu. Zamanında Nobel almış bu kitaba kesinlikle kötü demiyorum. Farklı bir beklentiyle başlayıp farklı bir yazınsal matematikle karşılaşmam düşüncelerimi bu yöne doğru kaydırdı. Belki de, zamanı doğru olmayan bir okuma da söz konusu da olabilir. Sono sicura che molti, come me, abbiano esperimentato un certo stupore nell’ascoltare la propria voce registrata. «Ma è proprio così la mia voce?» è l’inevitabile domanda che faremo a chi è presente. un secco «Si!», un laconico «No…», un ruffiano «Beh, la tua voce è più dolce…». La realtà, come ci racconta Pirandello, è una per noi stessi ma nel momento in cui ci si accorge di essere altro si annulla (nessuno) per poi moltiplicarsi nelle svariate sfaccettature create da chi ci sta attorno (centomila). Pubblicato nel 1926, dopo una lunghissima gestazione (la prima versione risaliva la 1909) fu l’ultimo romanzo di Pirandello e che lui stesso definì "più amaro di tutti, profondamente umoristico, di scomposizione della vita". il rapporto tormentato con il padre e la pazzia della moglie con la sua ossessiva gelosia. Questi elementi sono ben delineati in un interessante saggio di Andrea Camilleri Biografia del figlio cambiato di cui consiglio la lettura perchè getta uno sguardo diverso su tutta la produzione pirandelliana. This philosophical book was first published in 1926 and was written by Italian novelist Luigi Pirandello (1867-1936). Pirandello won the Nobel Prize for Literature in 1934 ""for his bold and ingenious revival of dramatic and scenic art." The story is about a man Vitangelo Moscarda who one day, was told my his wife that his nose leans to the right. Moscarda does not notice it before as he thinks that his nose was straight (this image of himself seems to be what "one" means in the title). However, This philosophical book was first published in 1926 and was written by Italian novelist Luigi Pirandello (1867-1936). Pirandello won the Nobel Prize for Literature in 1934 ""for his bold and ingenious revival of dramatic and scenic art." The story is about a man Vitangelo Moscarda who one day, was told my his wife that his nose leans to the right. Moscarda does not notice it before as he thinks that his nose was straight (this image of himself seems to be what "one" means in the title). 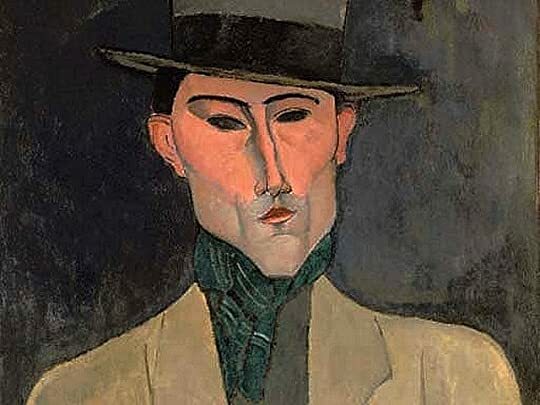 However, the comment that his nose leans to the right makes him realize that his perception of himself may not necessarily be accurate (the "no one" in the title). Lastly in the story, Moscarda realizes that many people may have their own perceptions about himself - the son of a usurer who used to own a bank (the "one hundred thousand" in the title). Pirandello's favorite theme of the relativity of perception and the fragmentation of reality into incomprehensible pieces is his philosophical core. Closely connected to it is the reflection on language and the impossibility of objective and satisfactory communication between speakers, due to the fact that we all charge words with our own meanings. As Moscarda obsesses over the painful realization that he is only what others make of him, he tries to subvert others' reality by reinventing himself as a new, different Moscarda. But his attempt to possess his own self is in vain, and his only way out is self-denial, starting with a refusal to look at mirrors. Partendo da una interessantissima osservazione, cioè che noi siamo diversi per qualunque persona che ci è vicina, Pirandello costruisce una storia di un uomo che tenta di distruggere le immagini che gli altri hanno di lui e viene creduto pazzo. Forse la dimensione di romanzo è troppo ampia per questa narrazione che rischia di diventare noiosa, con troppe ripetizioni; ma Pirandello riesce comunque a mantenere il ritmo fino alla fine. Ένας: Αυτός που νομίζεις εσύ για τον εαυτό σου πως είσαι. Εκατό χιλιάδες: Αυτοί οι εκατό χιλιάδες (+) που είσαι για τους ανθρώπους γύρω σου, γιατί για τον καθένα είσαι και ένας άλλος. Κανένας: Δεν είσαι τίποτα, δεν ήσουνα ποτέ, που λέει και η λαίδη. Γιατί δεν σε καθορίζει μια στιγμή, μια πράξη, ούτε καν μια περίοδος της ζωής σου. Κάθε δευτερόλεπτο αλλάζεις. Είσαι μια κατασκευή που δεν παύει ποτέ να μεταλάσσεται μέσα στο χρόνο. Αναμφισβήτητα, πολύ ενδιαφέρουσα η οπτική του Πιραντέλλο πάνω στη θεματ Ένας: Αυτός που νομίζεις εσύ για τον εαυτό σου πως είσαι. Αναμφισβήτητα, πολύ ενδιαφέρουσα η οπτική του Πιραντέλλο πάνω στη θεματική της φύσης της ταυτότητας. Ξεχωριστό ανάγνωσμα. Αυτό που δεν μου άρεσε ήταν η απόλυτη βεβαιότητα του συγγραφέα για τις αντιδράσεις και τα συναισθήματα του αναγνώστη σχετικά με τις αγωνιώδεις φιλοσοφικές του διαπιστώσεις. Ούτε ταυτίστηκα με την απελπισία του ήρωα που τον οδήγησε σταδιακά προς την τρέλα, ούτε αισθάνθηκα ότι κάποιος μου άνοιξε τα μάτια και μου έτριψε στη μούρη μια πικρή αλήθεια που με έκανε να μελαγχολήσω. Ίσα ίσα, η ιδεολογία του βιβλίου με έκανε να επιβεβαιώσω ιδέες που δεν είχα αναλύσει σε τόσο βάθος, ώστε να διαπιστώσω πως σε εμένα λειτουργούν απολύτως καθησυχαστικά. Διαμαρτύρεται ο ήρωας ότι του βάζουν συνεχώς ταμπέλες, μα το ίδιο κάνει κι ο συγγραφέας στον αναγνώστη. Τελικά είναι αναπόφευκτο. Vitangelo Moscarda is the central character of this story. He is Italian, married and twenty-eight. He has no kids. Nobody disputes these facts. Everything else about his personality--his goals, motivations and manner of being—may be and is up for debate! The book is a novel but reads as a philosophical treatise. Its theme is who we really are. Are we most accurately how we view ourselves or how others view us? Can an accurate representation be drawn by any? A quick glance in a mirror shows one Vitangelo Moscarda is the central character of this story. He is Italian, married and twenty-eight. He has no kids. Nobody disputes these facts. Everything else about his personality--his goals, motivations and manner of being—may be and is up for debate! The book is a novel but reads as a philosophical treatise. Its theme is who we really are. Are we most accurately how we view ourselves or how others view us? Can an accurate representation be drawn by any? A quick glance in a mirror shows one person, but a glance a few seconds later shows another. What is seen is influenced by the person observing and by ever-changing shifts in emotions, thoughts, happenings and movements. Nothing stays still. Everything changes. All that influences how a person is perceived is legion. Is there one correct true version of a person or does it not exist or are there many? See the title. Moscarda wants to understand who he is. He analyzes the question from a zillion different perspectives. He talks to us and tells us his thoughts over and over again. Then he attempts to change how others see him, but his thoughts and words continue. He is repetitive and the analysis becomes repetitive. What starts as an interesting question is pushed to extreme. Does it sound like I have not enjoyed the book? I have. I have given it two stars, which means it was OK, but could have been better. It has provided me with mental gymnastics. The questions posed are interesting, and the author, in the guise of Moscarda, stretches the central theme to other topics worthy of consideration too, for example the ability of flora and fauna to communicate. What we know today about animals’ thought processes and the complicated interdependence between flora and microbes show that some of the ideas expressed in the book were ahead of their time. 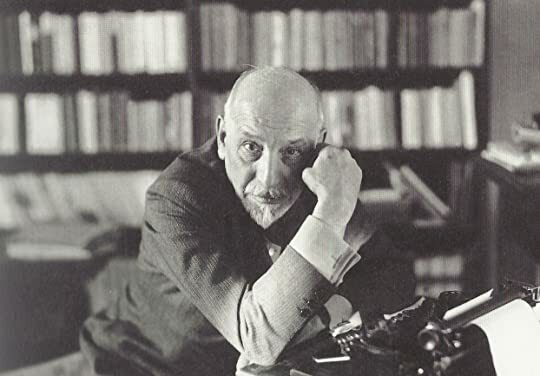 The author, Luigi Pirandello (1867-1936), won the Nobel Prize for Literature in 1934. The book was published in 1933. It is considered a classic, and I had never heard of the guy. I had to give it a try. His writing has a particular style that is fun to be acquainted with. You could say the thread of thoughts are interminably long-winded. Or you can say they intrigue and twirl, revolving in diminishing and expanding circles, one minute tying your thoughts into knots, in the next making you laugh. Just as the book says, none of us sees anything the same. This is a theme all of us have talked about on GR, isn’t it? In extension, if none of us see things in the same way, how can we possibly know who we truly are? Except, except…….with time you can draw some conclusions about a person, based on what they say and think and do. You see I cannot stop thinking about the questions posed in the book! Chris Mattews narrates the audiobook. He does a good job. What is said is clearly spoken, and it Is not hard to follow. In the beginning he speaks a little bit fast. You cannot listen to the book for long stretches. Your head gets tied into a knot, not because of how it is read but because of its philosophical content. It is interesting, does give food for thought, but is too exaggerated and repetitive. Este livro, foi o último escrito por Luigi Pirandello, antes de morrer. O autor foi Prémio Nobel da Literatura em 1934, e embora de diga que tem uma vasta obra, é o primeiro livro que leio dele. Quem serei eu para mim? Quem serei Este livro, foi o último escrito por Luigi Pirandello, antes de morrer. O autor foi Prémio Nobel da Literatura em 1934, e embora de diga que tem uma vasta obra, é o primeiro livro que leio dele. Quem serei eu para mim? Quem serei eu para os outros? Será que sou alguém ou apenas ninguém? Quantos existem em mim e quantos de mim existem para os outros? Daí o título algo invulgar de "Um, ninguém e cem mil"
Embora o teor trágico cómico da história, ela leva-nos ao âmago do pensamento humano, quantos de nós já não colocaram questões destas, a si próprios? O livro podia tornar-se uma chatice, se não fosse a capacidade narrativa de Perandello, que nos leva do riso às lágrimas. عنوانٌ مثيرٌ ولافت. واسم كاتبٍ غريب لا أعرفه. 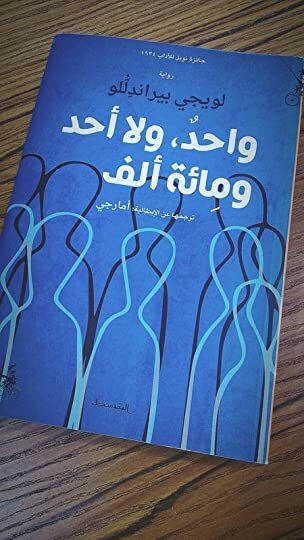 و دار نشرٍ قيّمة الكتب، مميّزةَ الانتاج. يكفي ذلك لإغرائي بتناول الكتاب وتصفّحه. لكنّ معلومة أنّ الكاتب حاصلٌ على جائزة نوبل في الآداب، تُعطي للكتاب ثقلاً، وأمّا أن يكون قد كتبه في 35 عامًا! فتلك الضربة "التسويقية" القاضية. الفكرة التي يقوم عليها هذا العمل فكرةٌ بديعة لطالما فكّرتُ بها وأثارت تأمّلاتي منذ زمنٍ بعيد، ومطلع روائيٌ ساحر وذكي. لكنّ الكاتب للأسف أضاع عُمق الفكرة وجمال البداية بالثرثرة والمراوحة في المكان. فلا أشبع الفكرة بحثًا وتوّسعًا، و عنوانٌ مثيرٌ ولافت. واسم كاتبٍ غريب لا أعرفه. و دار نشرٍ قيّمة الكتب، مميّزةَ الانتاج. يكفي ذلك لإغرائي بتناول الكتاب وتصفّحه. الفكرة التي يقوم عليها هذا العمل فكرةٌ بديعة لطالما فكّرتُ بها وأثارت تأمّلاتي منذ زمنٍ بعيد، ومطلع روائيٌ ساحر وذكي. لكنّ الكاتب للأسف أضاع عُمق الفكرة وجمال البداية بالثرثرة والمراوحة في المكان. فلا أشبع الفكرة بحثًا وتوّسعًا، ولا أغناها بأسلوبٍ وأحداث. بل إنّ الكتاب لم يكن روايةً بالمعنى الدقيق. ولعلّ طول المدّة التي كُتب فيها الكتاب هو السبب الكامن وراء هذا الاضطراب والضياع الذي لابس الكتاب. ختامًا، فقد ورد في حيثيات منح جائزة "نوبل" للكاتب (بيرانديللو) ذكر (قدرته الساحرة على تحويل التحليل النفسي إلى شكلٍ مسرحي إبداعي). وقد كانت "شبه الرواية" هذه محاولةً "موءودةً "لطرح السؤال عن تشكّل "الذات" واتساقها الشخصي والمجتمعي. Είναι πολύ εντυπωσιακό το πώς μια ματιά στον καθρέφτη και η ανακάλυψη ενός ψεγαδιού, στη μύτη(αν θυμάμαι καλά γιατί το εχω διαβάσει εδώ και καιρό) κατάφερε να οδηγήσει σε όλη αυτή την παράδοξη ιστορία. Δεν ήταν το πιο ενδιαφέρον μυθιστόρημα που έχω διαβάσει, ούτε και ιδιαίτερος ο τρόπος γραφής. Αυτό που μου άρεσε σε αυτή την ιστορία είναι το πόσο μου άλλαξε τον τρόπο σκέψης μου. Ήταν ένα βιβλίο που μου έμεινε επειδή με οδήγησε σε μονοπάτια, τα οποία το δικό μου μυαλό δεν είχε ξανά διαβεί. Η επιφ Είναι πολύ εντυπωσιακό το πώς μια ματιά στον καθρέφτη και η ανακάλυψη ενός ψεγαδιού, στη μύτη(αν θυμάμαι καλά γιατί το εχω διαβάσει εδώ και καιρό) κατάφερε να οδηγήσει σε όλη αυτή την παράδοξη ιστορία. Δεν ήταν το πιο ενδιαφέρον μυθιστόρημα που έχω διαβάσει, ούτε και ιδιαίτερος ο τρόπος γραφής. Αυτό που μου άρεσε σε αυτή την ιστορία είναι το πόσο μου άλλαξε τον τρόπο σκέψης μου. Ήταν ένα βιβλίο που μου έμεινε επειδή με οδήγησε σε μονοπάτια, τα οποία το δικό μου μυαλό δεν είχε ξανά διαβεί. Η επιφυλακτικότητά μου, στην αρχή της ανάγνωσης, μετατράπηκε σε αυτή τη διόλου υπερβολική διαπίστωση για τη ζωή:έχουμε τόσους εαυτούς, όσους κ οι άνθρωποι με τους οποίους συναναστρεφόμαστε. Στο κάθε ζευγάρι μάτια που μας παρατηρεί φαντάζουμε διαφορετικοί,στο ένα ζευγάρι μπορεί να φαντάζουμε ελέφαντες, στο άλλο μπορεί να φαντάζουμε σπουργίτια, στο τρίτο μπορεί να φαινόμαστε αλεπούδες. Είναι απίστευτες και εξωπραγματικές ορισμένες φορές, οι σκέψεις, καθώς και οι προσδοκίες των γύρω μας από εμάς. Είναι λανθασμένη και απέχουσα πολύ από την πραγματικότητα, τις πιο πολλές φορές, η εικόνα που έχει για εμάς ακόμα και κάποιος που μας ξέρει χρόνια. Quel lontano giorno futuro in cui cambieranno le antologie scolastiche togliendo tutte le inutili decine di pagine di pippe mentali pirandelliane per sostituirle con storie ricche di sentimento. A me ha fatto cagare. Punto. Prendetelo per un parere soggettivo. Il fu Mattia Pascal mi era piaciuto. Questo no, non l'ho retto. Mi è sembrato una puttanata. Ripetere per 200 pagine un concetto interessante che si poteva esprimere in due. Grazie, ma no. Qui non c'è storia. Alla faccia del romanzo. 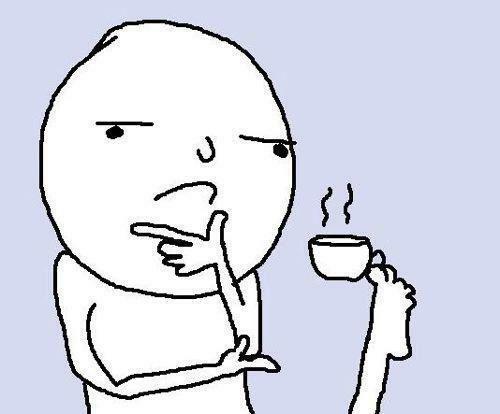 È un Quel lontano giorno futuro in cui cambieranno le antologie scolastiche togliendo tutte le inutili decine di pagine di pippe mentali pirandelliane per sostituirle con storie ricche di sentimento. Ah, se la moglie non gli avesse fatto notare come il suo naso pendesse lievemente da una parte, il signor Vitangelo Moscarda non avrebbe dato vita ad un fiume, anzi un vortice di domande, di ipotesi, di ragionamenti e di riflessioni che rasenta l’assurdo, che sfiora la follia. In tutto questo devo riconoscere la maestria di Pirandello, quella capace di farci guardare dentro e cercare di capire, non solo come ci vediamo noi, ma (cosa a Possiamo conoscere soltanto quello a cui riusciamo a dar forma. In tutto questo devo riconoscere la maestria di Pirandello, quella capace di farci guardare dentro e cercare di capire, non solo come ci vediamo noi, ma (cosa assai più terribile) come potrebbero vederci gli altri. Molto meglio la seconda parte del romanzo, laddove pian piano il vortice delle domande scema, pur rimanendo latente, e il racconto si fa più liscio e verosimile, seppure con risvolti tragici e conseguenze ancor più tragiche. Quando uno vive, vive e non si vede. Conoscersi è morire. [...] Vedere le cose con occhi che non potevano sapere come gli altri occhi intanto le vedevano. Parlare per non intendersi. Non valeva più nulla essere per sé qualche cosa. E nulla più era vero, se nessuna cosa per sé era vera. Esposto lí al vento furioso, si faceva svolazzare attorno al corpo magro, d'una magrezza che incuteva ribrezzo, la coperta del letto: una coperta di lana rossa, appesa e sorretta con le due braccia in croce, sulle spalle. E rideva, rideva con un lustro di lagrime negli occhi spiritati, mentre gli volavano di qua e di là, lingueggiando come fiamme, le lunghe ciocche dei capelli rossicci. Ecco, così si vede e si sente Vitangelo Moscarda: pazzo, ma innocuo. Una pazzia riconosciuta, quindi, una piena consapevolezza di sé che lo allontanerà dal mondo, dalle cose materiali, dalle persone, in un ritiro rigeneratore, finalmente in pace con se stesso, riscattato agli occhi del mondo e dallo stesso perdonato. Ma soprattutto vivo; povero, dimesso, dimenticato, ma ancora consapevolmente vivo! Cosí soltanto io posso vivere, ormai. Rinascere attimo per attimo. Impedire che il pensiero si metta in me di nuovo a lavorare, e dentro mi rifaccia il vuoto delle vane costruzioni. [...] Io non l’ho più questo bisogno, perché muoio ogni attimo, io, e rinasco nuovo e senza ricordi: vivo e intero, non più in me, ma in ogni cosa fuori. Incredibile e impressionante quanto sia vero che gli altri ci vedono in centomila sfaccettature diverse. E noi che crediamo di essere così, come siamo. Ma come siamo? Mi ha fatto riflettere sul modo in cui a volte giudichiamo senza conoscere e viceversa ci sentiamo giudicati. Per la prima volta ho sperimentato l'audiolibro, che si presta bene ad un testo del genere costituito per lo più da monologhi, senza troppi dialoghi. Yol haritası ya da ne adlandirirsaniz artık. Okumaktan büyük keyif aldığım. Yaşadığım sürece tekrar tekrar okuyacağım kitaplardan biri oldu. First, I have to thank Eva at Spurl Editions for my copy of this book. I bought a copy many years ago, shelved it, and forgot about it. Now, after finally reading it, it's become a book that is so disturbing (and so well done) that it will probably never get out from underneath my skin. I loved every second of it. Just briefly, One, No One, and One Hundred Thousand is a novel which, in the author's words, "deals with the disintegration of the personality. " It is a very dark read, in which a man First, I have to thank Eva at Spurl Editions for my copy of this book. I bought a copy many years ago, shelved it, and forgot about it. Now, after finally reading it, it's become a book that is so disturbing (and so well done) that it will probably never get out from underneath my skin. I loved every second of it. Just briefly, One, No One, and One Hundred Thousand is a novel which, in the author's words, "deals with the disintegration of the personality. " It is a very dark read, in which a man reaches a most extreme "cure" for the "sickness" that all started with a conversation between a husband and wife about his nose. Once his eyes have been opened to the awareness that his nose tilts, twenty-eight year old Vitangelo Moscarda finds himself in a serious existential crisis. While that may seem to be a somewhat absurd premise, the story that develops from that point is anything but, as Moscardo's sense of reality and self awareness veers off course and he becomes determined to untangle his true self from all of the others that have been constructed for him. I love books which explore perceptions of self and others and the delusions inherent within (my true raison d'être for reading), but One, No One, and One Hundred Thousand is unlike anything I've read in this vein before, presenting a portrait of a fragmented and torn man whose understanding of his own misperceptions of his self set him on a path that takes him smack into an "endless void." It is frightening on one hand, comic on the other, and all the while we are caught in Moscarda's head as he undergoes his "sickness", in which was found the "remedy" that would eventually cure him. It's extreme, and for me, a bit sad, to say the least. I won't lie to you -- the book is challenging, philosophical in nature, and in my opinion, it requires the reader to stop and think along the way and even more so at the end of this story, which makes it right up my reading alley. One more thing: for anyone who might wonder how a book written in 1926 is relevant to our times, I'll refer you to social media, an entire universe of constructed selves and constructed realities. Μου είναι πραγματικά πολύ δύσκολο να γράψω το οτιδήποτε για το συγκεκριμένο βιβλίο, κυρίως γιατί μου προκάλεσε τόσο αντιφατικά συναισθήματα. Κεντρικό πρόσωπο της ιστορίας είναι ο Μοσκάρντα ο οποίος μία ωραία πρωία, από ένα φαινομενικά αδιάφορο γεγονός, συνειδητοποιεί ότι η εικόνα που έχει για τον εαυτό του είναι εντελώς διαφορετική από την εικόνα που έχει η γυναίκα του και όλοι οι άλλοι για εκείνον. Στην αρχή λέγοντας εικόνα εννοεί κυριολεκτικά την φυσική του υπόσταση. Σταδιακά επεκτείνει τον συλλογισμό του στα επιμέρους χαρακτηριστικά που συνθέτουν μία ανθρώπινη προσωπικότητα. Η πτυχή του χαρακτήρα σου που βλέπει η γυναίκα σου, παραδείγματος χάρη, είναι εντελώς διαφορετική από εκείνη που βλέπει ο γείτονας ή από αυτό που εσύ πιστεύεις για τον εαυτό σου. Έτσι λοιπόν επιμερίζεσαι σε χίλια μικρά, διαφορετικά κομμάτια κι από ένας γίνεσαι εκατό χιλιάδες, αλλά επί της ουσίας , κανένας. Φυσικά για να φτάσει σε τέτοια επίπεδα συλλογισμού, μετατρέπεται σε εξωτερικό παρατηρητή τόσο του εαυτού του όσο και των γύρω του αγγίζοντας σιγά-σιγά τα όρια της εμμονής. Ως εδώ, λοιπόν, έχουμε ένα φιλοσοφικό μυθιστόρημα με εκπληκτική ενδοσκόπηση και ανάπτυξη της ψυχοσύνθεσης του ήρωα. Ο μοναδικός συγγραφέας που έχει καταφέρει τόσο επιδέξια κάτι τέτοιο είναι, κατά την γνώμη μου, ο Ντοστογιέφσκι και υπήρξαν στιγμές που μου τον θύμισε αρκετά, κυρίως όταν πάλευε να ισορροπήσει μεταξύ λογικής και τρέλας. Kitabın konusu ve vermiş olduğu fikir çok etkileyici. İnsanı düşünmeye sevk ediyor. Gerçekten olabilir diyorsun. Bir ben yok ki bu dünyada. Tam bir içsel yolculuk aslında. Yanlız itiraf etmeliyim, aralardaki bazı hikaye kısımlarında kaybolduğumu hissettim. Son olarak beni en çok etkileyen iki cümleye yer vermek istiyorum. İntiharı düşünen birisi neden kend Kitabın konusu ve vermiş olduğu fikir çok etkileyici. İnsanı düşünmeye sevk ediyor. Gerçekten olabilir diyorsun. Bir ben yok ki bu dünyada. Tam bir içsel yolculuk aslında. Yanlız itiraf etmeliyim, aralardaki bazı hikaye kısımlarında kaybolduğumu hissettim. Non è altro che questo, epigrafe funeraria, un nome. Conviene ai morti. A chi ha concluso. Io sono vivo e non concludo. La vita non conclude. E non sa di nomi, la vita. Quest'albero, respiro trèmulo di foglie nuove. Sono quest'albero. Albero, nuvola, domani libro o vento: il libro che leggo, il vento che bevo. Tutto fuori, vagabondo. [...] Io esco ogni mattina, all'alba, perché ora voglio serbare lo spirito così, fresco d'alba, con tutte le cose come appena si scoprono, che sanno ancora del cr Non è altro che questo, epigrafe funeraria, un nome. Conviene ai morti. A chi ha concluso. Io sono vivo e non concludo. La vita non conclude. E non sa di nomi, la vita. Quest'albero, respiro trèmulo di foglie nuove. Sono quest'albero. Albero, nuvola, domani libro o vento: il libro che leggo, il vento che bevo. Tutto fuori, vagabondo. [...] Io esco ogni mattina, all'alba, perché ora voglio serbare lo spirito così, fresco d'alba, con tutte le cose come appena si scoprono, che sanno ancora del crudo della notte, prima che il sole ne secchi il respiro umido e le abbagli. Il lento logorio mentale di un "usurajo" Moscarda in lotta con la terribile verità di essere per le tante personalità del suo paese un Moscarda diverso per ciascuno, e persino per sè stesso. Si rende conto di coesistere con centomila sè stessi e che nessuno di essi è il vero lui; c'è il Gengè di sua moglie, come il nullafacente del suocero, e l'usuraio del paese. Moscarda si ribella a questo conflitto, cercando di distruggere i tanti sè, una distruzione che riguarderà infine la sua intera vita. Pirandello ci pone dunque di fronte ad una verità universale che leggendo non si può fare a meno di appoggiare e di esserne quasi spaventati; ad un certo punto ho creduto di impazzire insieme al povero Moscarda, lo capisci il suo dilemma interiore. Perché non siamo uno, non saremo mai uno per come noi ci vediamo, ma siamo insieme nessuno per la nostra incapacità di fissare un nostro modo di essere che sia quello unico e solo e che ci fa vedere di fronte agli altri. Ma siamo anche centomila, siamo diversi per centomila altri occhi; centomila noi che si trasfigurano di fronte ad un nuovo sconosciuto. Uma simples observação sobre o seu nariz, foi o suficiente para conduzir um homem ao descalabro total. A loucura insinuou-se a partir do momento em que percebeu que a imagem que tinha de si próprio não correspondia àquela que os outros tinham dele. O que nos leva a pensar, que também nós - qualquer um de nós - já terá tido essa percepção. A ideia que temos de nós, o que cada um dos outros vê em nós, a interpretação que cada pessoa faz do que dizemos ou fazemos, cria uma multiplicidade de "eus" q Uma simples observação sobre o seu nariz, foi o suficiente para conduzir um homem ao descalabro total. A loucura insinuou-se a partir do momento em que percebeu que a imagem que tinha de si próprio não correspondia àquela que os outros tinham dele. O que nos leva a pensar, que também nós - qualquer um de nós - já terá tido essa percepção. A ideia que temos de nós, o que cada um dos outros vê em nós, a interpretação que cada pessoa faz do que dizemos ou fazemos, cria uma multiplicidade de "eus" que provavelmente não corresponde à ideia pessoal que cada um tem de si próprio. E assim sucessivamente, com todas as pessoas aos olhos dos outros. 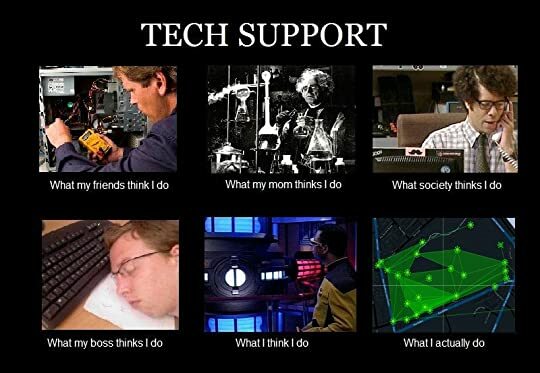 Então, andamos todos equivocados uns sobre os outros? E quando estamos num grupo e por acaso estamos todos de acordo sobre um determinado tema, será que cada um tem uma visão individual e no fim de contas estamos todos a "ver" o tema sobre uma perspectiva diferente, mas que pensamos ser igual às outras? É de loucos, e se pararmos para pensar nisto acabamos tão louquinhos quanto o personagem. O que levanta outra questão: serão os "loucos" assim tão desprovidos de bom senso? É que muitas das reflexões deste homem pareceram-me muito lucidas e sólidas face aos argumentos dos "sãos" de espirito! Não só o autor mexeu num tema com muito para discutir, como o fez com um genial sentido de humor e eloquência extraordinária. اؤجل قراءه هذا الكتاب إلى أجل غير مسمى ، بالأصح ، إلى أن يترجم بطريقة أفضل . Luigi Pirandello; Agrigento 28 June 1867 – Rome 10 December 1936) was an Italian dramatist, novelist, poet, and short story writer whose greatest contributions were his plays. He was awarded the 1934 Nobel Prize in Literature for "his almost magical power to turn psychological analysis into good theatre. Pirandello's works include novels, hundreds of short stories, and about 40 plays, some of whic Luigi Pirandello; Agrigento 28 June 1867 – Rome 10 December 1936) was an Italian dramatist, novelist, poet, and short story writer whose greatest contributions were his plays.